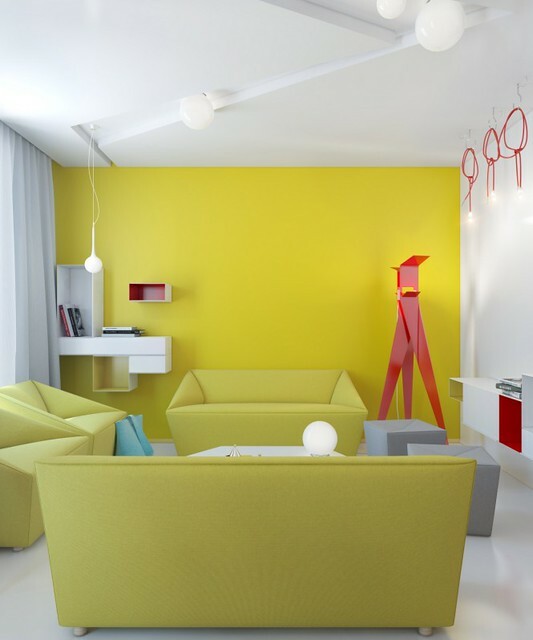 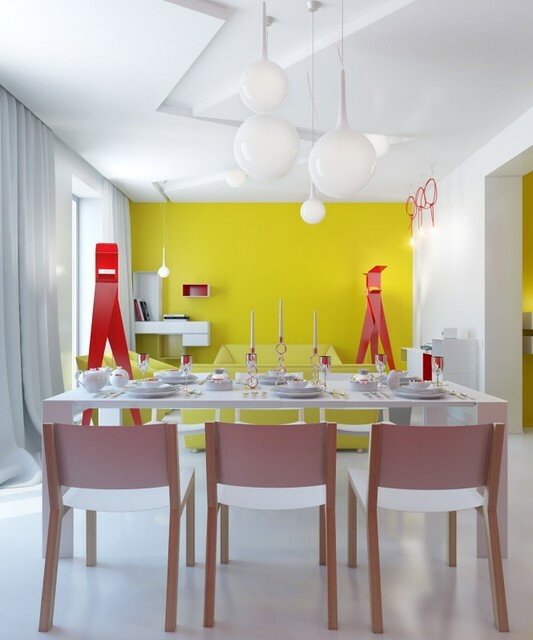 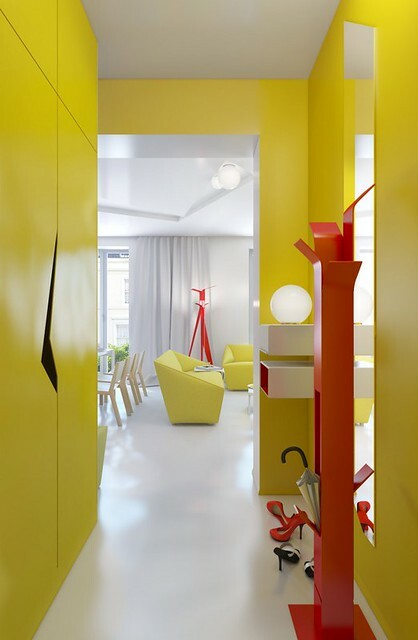 This conceptual vivid apartment by Anna Marinenko, destined for guests is positively bursting with bright decisions in the choice of colors, furniture and accessories. 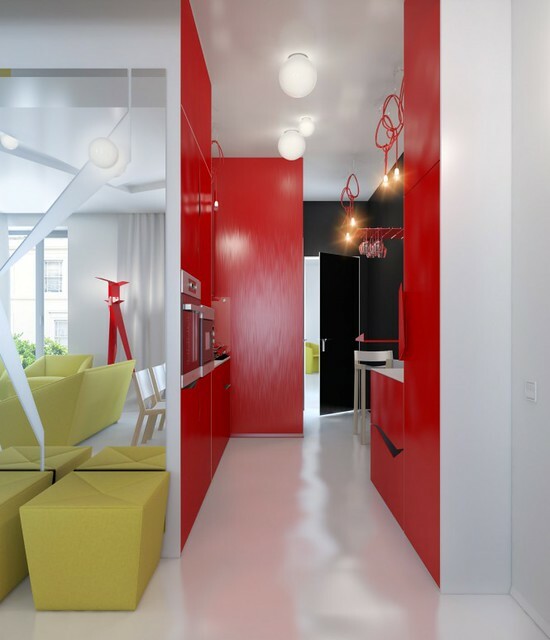 The designer combines only two colors adding white and fleeting bases of black and grey. 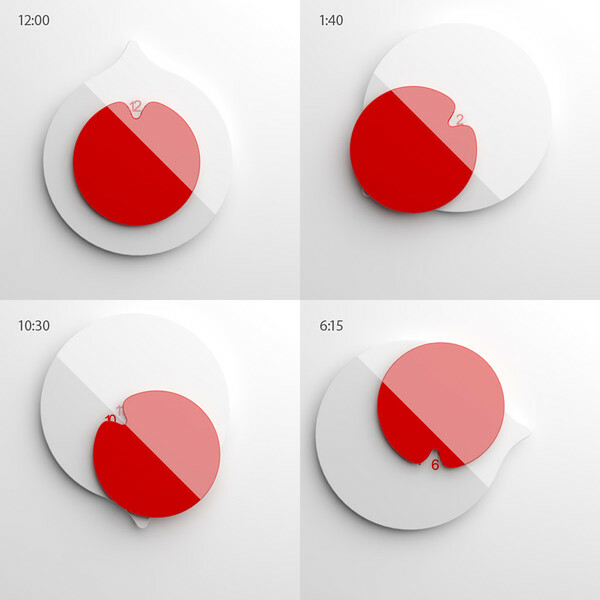 The clock takes inspiration from Japanese flag, blood drops and circular ripples in the water designed as a tribute to the Japanese people who suffered loss during the huge tsunami and earthquake on March 2011. 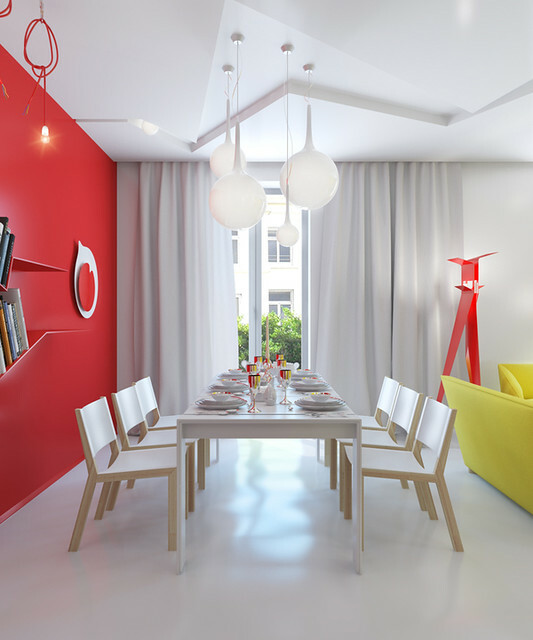 "The clock has a simple design with two circular plates – red and white, with one sliding over the other, while moving in a circular pattern, and although there is a slight learning curve to telling time"